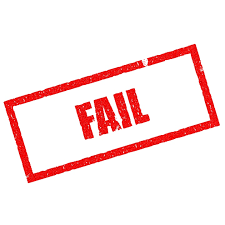 Project failure is expensive, embarrassing and alarmingly common. Depending on your estimates - 5%-30% of all projects are successfully completed. Getting to the bottom of project failure is an important way to improve our project performance. If we don't put in the effort to learn, how will we ever make progress? Project failure is a problem in every industry and every country. Consider the following statistics. According to consulting firm KPMG, only 33% of projects were delivered on budget in 2012. (Source: KPMG's Project Management Survey Report 2013). Only 5% of projects in the financial industry were completed on time in New Zealand (compared to over 20% in government and 10% in consumer products). (Source: KPMG's Project Management Survey Report 2013). 62% of project managers say they have met their original goals in 2012 (vs 72% of those surveyed in 2008 (Source: PMI's Pulse of the Profession: The High Cost of Low Performance). 37% of all projects fail according to a 2011 survey of 163 organizations conducted by PM Solutions (Source: Strategies for Project Recovery). According to a 2012 McKinsey report: “Half of IT projects with budgets of over $15 million dollars run 45% over budget, are 7% behind schedule and deliver 56% less functionality than predicted.” (Source: Delivering large-scale IT projects on time, on budget and on value). I know what you’re thinking. The data above come from surveys that are a few years old. Surely the project management field has made advances. Perhaps new project software and procedures have significantly improved results? Unfortunately, project success remains challenging for most organizations in 2014. Recently, I read the PWC report on project management. The PPM 2014 Global Survey draws on the comments from people in 110 countries and more than 3000 respondents – an outstanding global view of project management. Let’s consider the four main failures causes of project failure and what we can do to overcome those problems. Estimates remain one of the enduring challenges of project management. That makes sense since projects are about change and creating something new. I can estimate travel time in my home city with reasonable accuracy. The first time I visited Lisbon or London, I found it difficult to estimate travel time because it was unfamiliar. Using a multi-step process to validate estimates. To those ideas, I would also suggest that project managers should make greater use of their internal network. There is a great deal of project experience that has never been committed to writing. It is up to you to discover this knowledge by building relationships. In the U.S. Congress, government spending is subject to “pork.” This is the tendency of elected officials to demand additional funds be spent on projects in their areas, even if the projects are of dubious value (e.g. the infamous Gravina Island Bridge “bridge to nowhere” project proposed in Alaska with a +$300 million project). At this point, you might be thinking, “oh those foolish politicians.” Think again! How many times have executives, sponsors and other stakeholders undermined a project by adding additional requirements. Unless these requests for additional features are carefully managed, the project will soon collapse under the weight of scope changes. Design project plans with flexibility in mind. Built-in flexibility means a change of attitude on scope. Seeking more responses is the battle cry of many project managers. It is a natural tendency in life to seek out more resources when you feel that you are running out. Unfortunately, organizations are limited in how much budget and staff they can assign to projects. Thoughtful project managers need to find other ways to respond to the challenge of insufficient resources. Improve the productivity of project staff. (Tip: “Read 51 Training Resources for Project Managers” for ideas on improving your own effectiveness). Bio. Bruce Harpham writes about project management training, leadership, productivity and related topics at Project Management Hacks. His project experience includes leading projects in higher education and financial services.